A unique artwork that reveals the spirit of silver and red jasper in a new light. 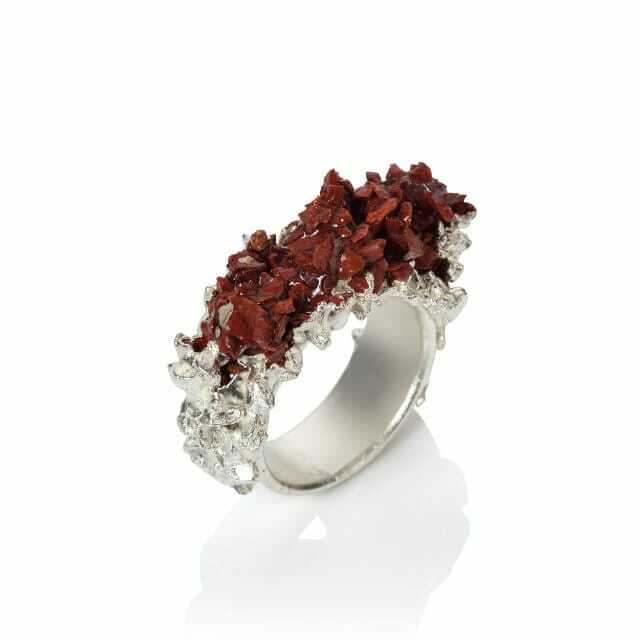 A stunning silver-plated metal ring, showcasing eruptions of crushed red jasper set in resin and encased in electroformed silver. A unique artwork that reveals the spirit of silver and stones in a new light. 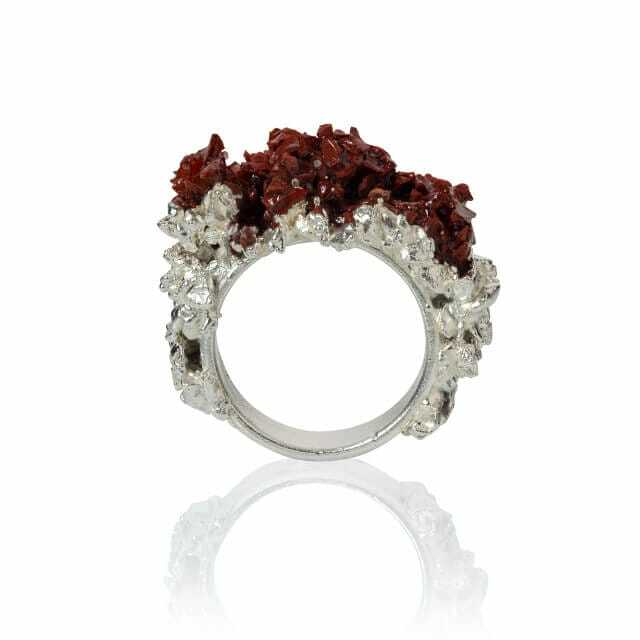 This attention-grabbing ring celebrates the organic and chaotic nature of minerals and metals, in homage to American minimalist and landscape artist Robert Smithson. Like a rock formation, it is a unique piece with fascinating detail wrought by uncontrollable forces.